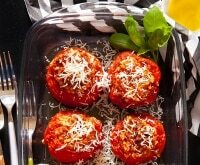 For tomato lovers, nothing beats this time of year when opportunities to enjoy the fresh flavor and texture of a ripe summer tomato are at an all-time high. Buy a tomato in winter and you’ll get a mealy, tasteless blob. But at their peak in summer, fresh tomatoes are amazingly juicy and delicious. If your garden is brimming with a bounty of bright red tomatoes just waiting to be picked, it’s easy to feel overwhelmed. 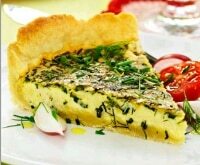 Whatever do you do with bushel after bushel of fresh-picked tomatoes? We’ve got some easy, no-bake tomato recipes that will help you maximize these final months of garden harvest. Need tips for growing and harvesting your tomatoes? Check out our tomato gardening guide, plus more healthy tomato recipes and a guide to building your own Bloody Mary bar waiting for you here! This pico de gallo is loaded with fresh garden ingredients and is perfect with corn tortillas or spooned over burritos or tostadas. 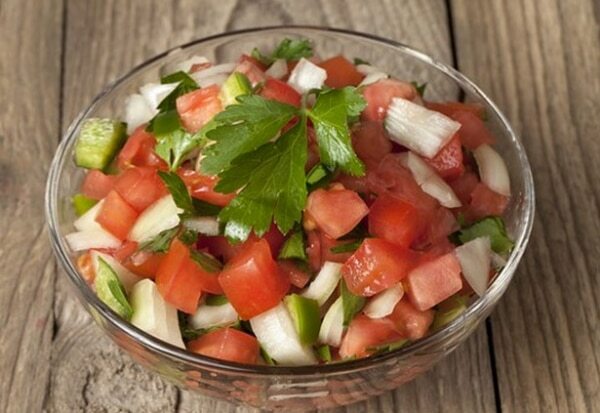 Check your farmer’s market for ripe tomatoes, which make this salsa taste incredible! 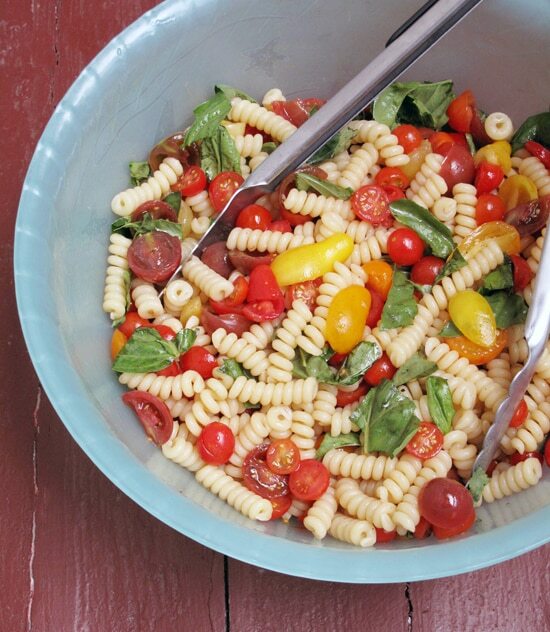 Bring this light avocado and tomato pasta salad to a picnic or barbecue, or enjoy as a weeknight meal. 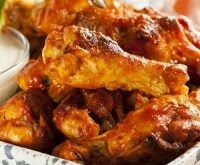 Keep it as is for a vegetarian meal, or add pre-cooked rotisserie chicken for extra protein. 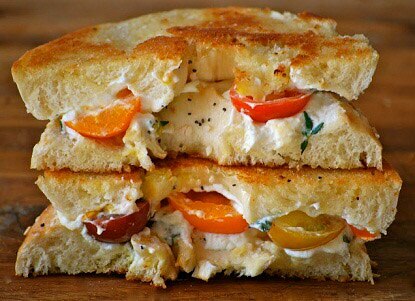 Buy a good quality loaf of bread for this Mediterranean veggie sandwich. 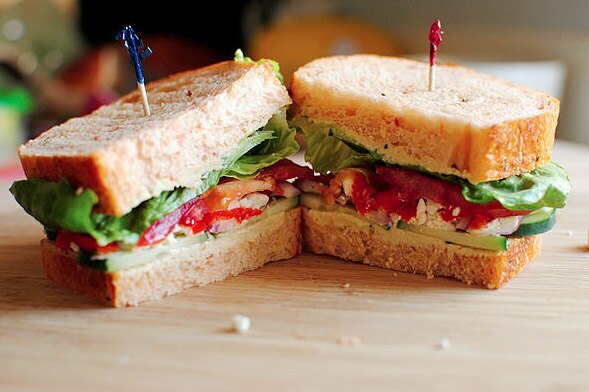 Load your sammie up with fresh tomatoes, cucumber, hummus, onions, and feta for a fresh and delicious meal. If you’ve never tried cold summer soup, you’re missing out! 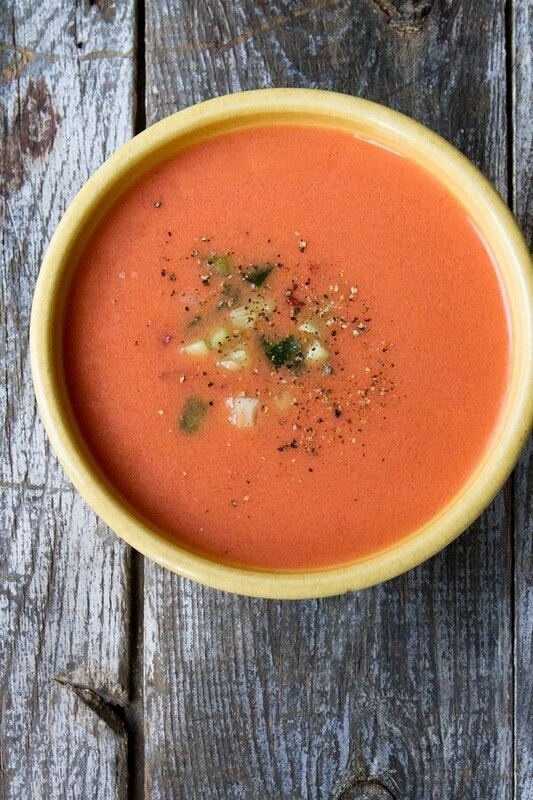 All you’ll need is a food processor and some fresh ingredients to make this incredible Spanish gazpacho andaluz. Love tomato soup? 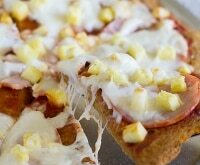 Try this healthy red pepper version for a little lunchtime kick! The key to a perfect panzanella salad is to cut all ingredients into bite-sized cubes. 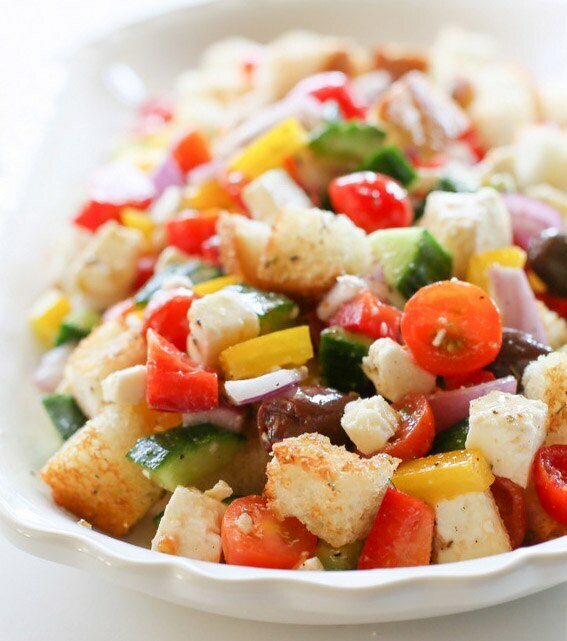 This panzanella salad takes on Greek flavors with feta and olives, and we guarantee every bite is amazing! 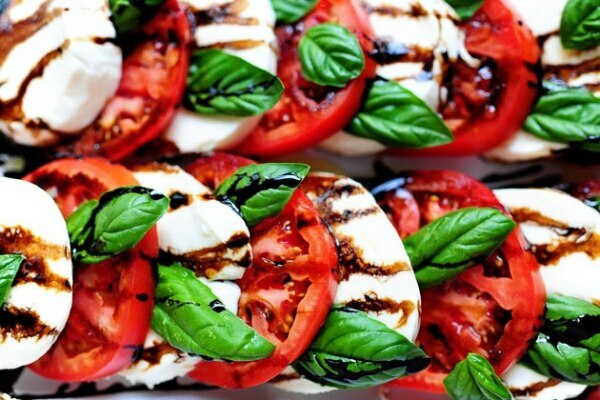 Ripe tomatoes, fresh mozzarella cheese, and basil come together in perfect union in this caprese salad. 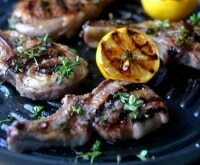 Add a balsamic reduction for the ultimate flavor combo! 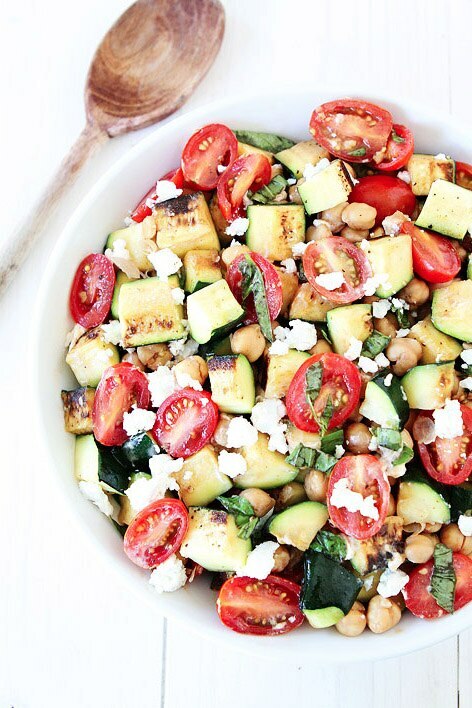 Put your summer zucchini to good use and make this easy grilled zucchini, chickpea, tomato, and goat cheese salad. Fire up your outdoor grill, not your oven, for the zucchini and toss together this amazingly fresh and yummy dinner salad. Colorful heirloom tomatoes and sweet local peaches pair beautifully for a salad that’s bursting with summer flavors. 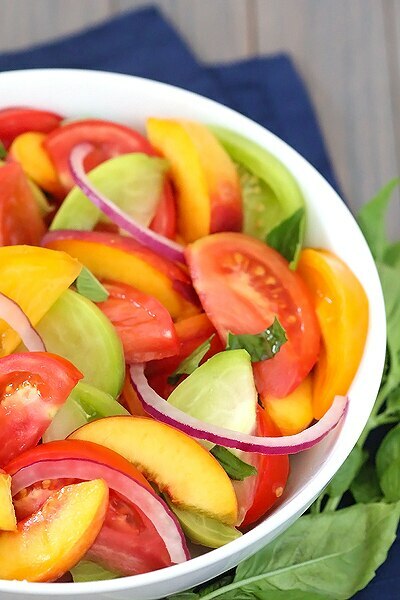 Change up your usual lettuce salad and try this tomato, basil, and peach version for a new taste you’re sure to love! Start with plump, snappy cherry tomatoes and freshly picked basil for a raw sauce that doesn’t require hours of simmering. 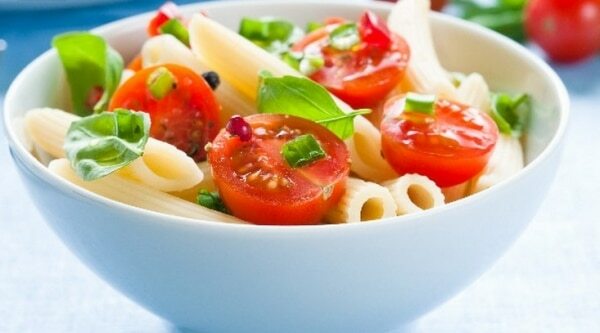 Toss with your favorite pasta and a balsamic vinaigrette for a delicious summer dinner. 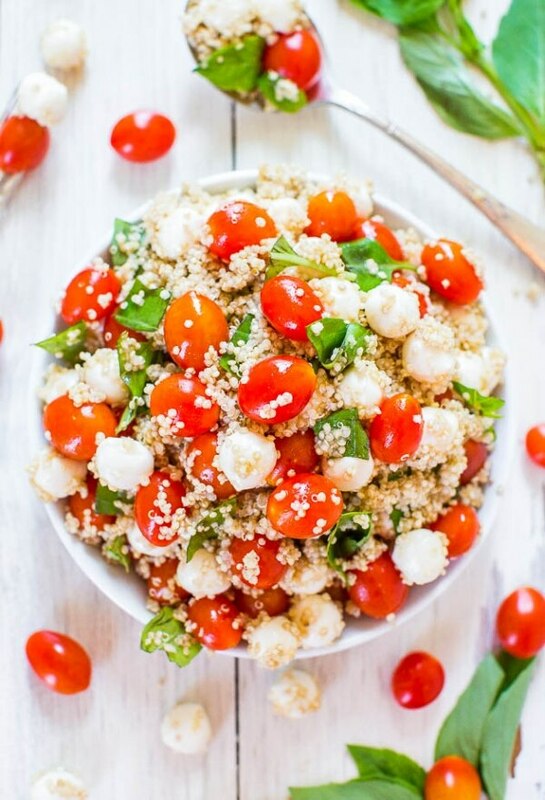 For a vegetarian, gluten-free dinner that’s simple, healthy, and refreshing, try this tomato, mozzarella, basil, and quinoa salad. Clean out your produce drawer and add extra veggies such as zucchini, cucumber, squash, peppers, or carrots to bulk it up. Bring it along to your next potluck for a salad that all will love! 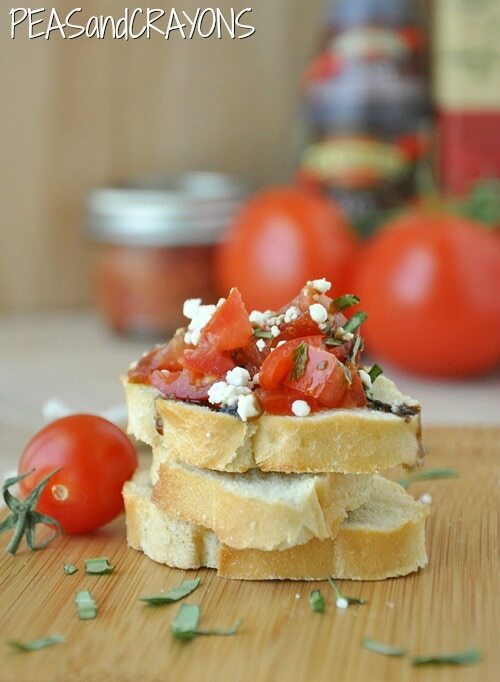 This tomato bruschetta is a ridiculously easy appetizer that can be prepped in 10 minutes flat. 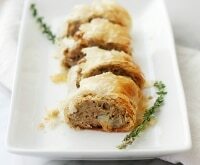 Serve on good quality, fresh bread for an addictive pre-dinner snack or enjoy for a leisurely lunch. 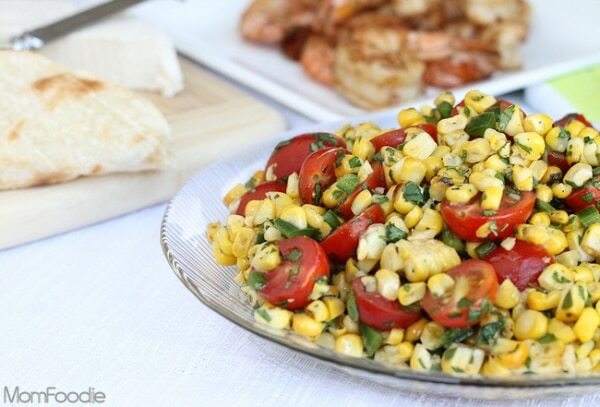 The sweet, smoky taste of grilled corn pairs well with fresh tomatoes and a zesty dressing. 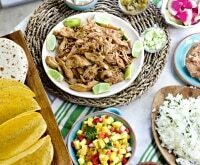 Serve this Tex-Mex salad with grilled meat for a dinner the whole family will love! 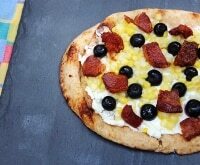 Make this cream cheese and heirloom tomato bagel for a busy weeknight dinner. You can add smoked salmon for extra protein, but either way, you’ll love how quickly you can have a tasty dinner on the table. 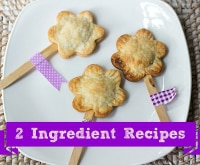 Tried all of these delicious recipes and still have leftovers? 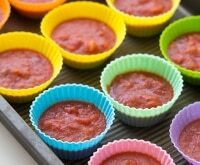 Preserve your tomatoes by freezing them whole. It’s easier than you think! 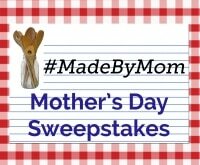 Place fresh tomatoes on a cookie sheet in the freezer. Freeze overnight. Once frozen, store frozen tomatoes in freezer-safe, zip-top baggies. To use, remove from the bag and thaw. Once thawed, the skins will slip right off and the tomatoes will be ready to use in your favorite recipes!